Pile is a deep foundation system to accommodate access structural load to the relatively firm stratum through end bearing or skin resistance and sometimes with the combination of both. We usually choose this type of foundation when loose soil deposits serving low bearing capacity for shallow foundation, or sometime problematic soil like expansive soil, collapsible soil, and also organic soil are present. Though in case of expansive soil the pile in many cases, are designed for anchorage purposes. At first, we will discuss drop hammer. In general, we are familiar with driving pile with blow; the exception is vibrating hammer. The driving operation with a hammer providing blows to piles is called pile driving operation and the equipment is termed as pile driver. We may need to drive pile both vertical and inclined direction. Normally guides are used to align the pile driving. When a hammer is lifted to desire elevation with a rope and let to provide blow on the top of pile by free fall, the hammer is called drop hammer. When a hammer is lifted with the help of steam pressure and let to provide blow by gravity fall; the hammer is termed as single-acting steam hammer. 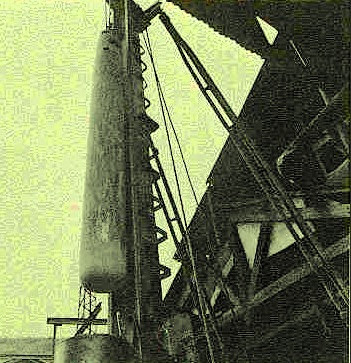 Hammer using steam energy, like previous hammer; have also another verity known as double acting steam hammer. When steam energy is used to lift hammer and as well steam pressure is used to enhance downward energy, the hammer is called double acting steam hammer. From the name we can realize why this is double acting steam hammer. Diesel hammer is lighter than double-acting steam hammer and can easily be transported. It is also operated at slow rate then double acting steam hammer. Diesel hammer is a unit which containing a fuel tank and essentially injectors. Diesel hammer have a very large diesel engine. Obviously modern hammers are two-stroke engine. The weight consists of piston and the cylindrical arrangement that is placed on pile top. The manufacturer of hammer specifies the rate of energy to be exerted by this pile hammer.Let consider Vulcan(016) pile hammer, which specifies the energy of 48750 ft-lb. 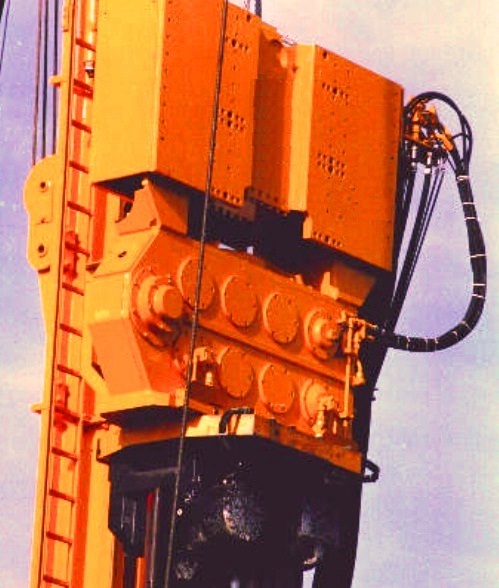 sometimes in case of large diameter piling work more energy is required. The example is offshore drilling platform where large energy of driving is required and a capacity of 180,000 ft-lb has been rated by some manufacturers. Now we will discuss about a pile driver that has less energy loss than our conventional hammer. This is vibratory driver. 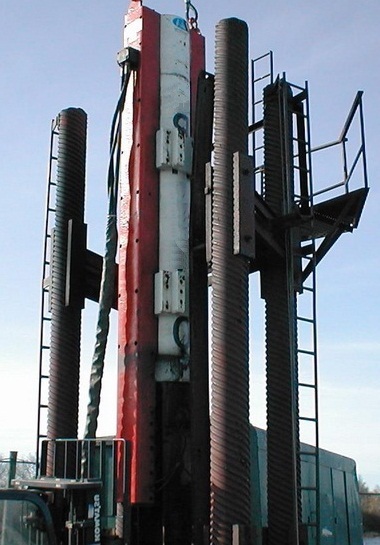 This driving technology is extensively used by Russian piling engineers. The arrangement, called oscillator, is mounted by crane or other means on the top of pile to be driven. The oscillator has pair of eccentric masses which is driven by electric or hydraulic motor. Such operation of oscillator is called vibratory driving.